Year Round School Excursions developed by qualified teachers to achieve National Curriculum outcomes. Designed to provide visiting school groups with an interactive program that supports learning pre, post and during your visit. Role play introducing the importance of body language through tableaux. The only place you can walk right into the story as it comes alive around you with magical sound & light effects. Exploring voice as an instrument in creative, fun ways. Oz Funland continues to offer primary school students an educational experience in a creative and fun environment. 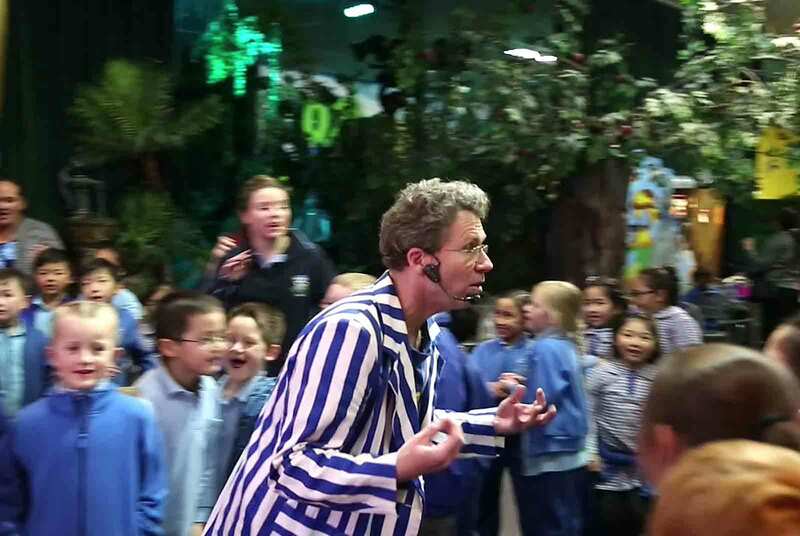 School excursions to the Oz Funland, will provide students with an excellent opportunity to experience the story of The Wizard of Oz come alive with special sound & light wizardry. It’s a truly magical experience aided by the latest technology including lasers and falling snow. You walk from scene to scene down the yellow brick road through Munchkinland, Cornfield, Forest & Emerald City as the story unfolds around you with effective storytelling. During school excursions, students will also be able to participate in a range of activities such as role play, Q & A session, characterisation, vocal presentation, movement and optional craft, based on the story of The Wizard of Oz and appropriate for their age. You will receive a Free digital Resource Pack relating to your excursion, containing work sheets and The Wizard of Oz Show DVD to re-enforce the learning experience. personally with a text as it comes alive, making connections with students’ own experiences and those of the characters (ACELT1582, ACELT1596, ACELT1613). to various techniques that authors use to make stories exciting, moving and absorbing, for example character development and plot tension (ACELT1605). Pehow depictions of characters in print, sound and images reflect the contexts in which they were created (ACELT1587). meaning and emotions through listening and speaking, viewing and representing. (ACEL1787). 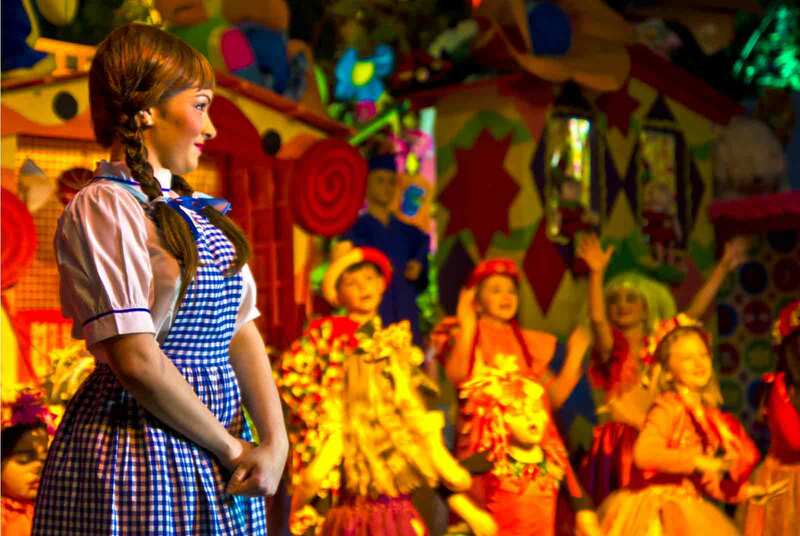 Oz Funland is home to The Wizard of Oz Interactive Show that represented Australia at international events like the This Is Australia Festival, Shanghai and International Storytellers Festival, New Delhi. It has done over 4,600 performances worldwide, received rave reviews at the world’s largest Oz Festival in the USA and is a proud International Ambassador for IVI’s Eye Care Awareness Campaign. 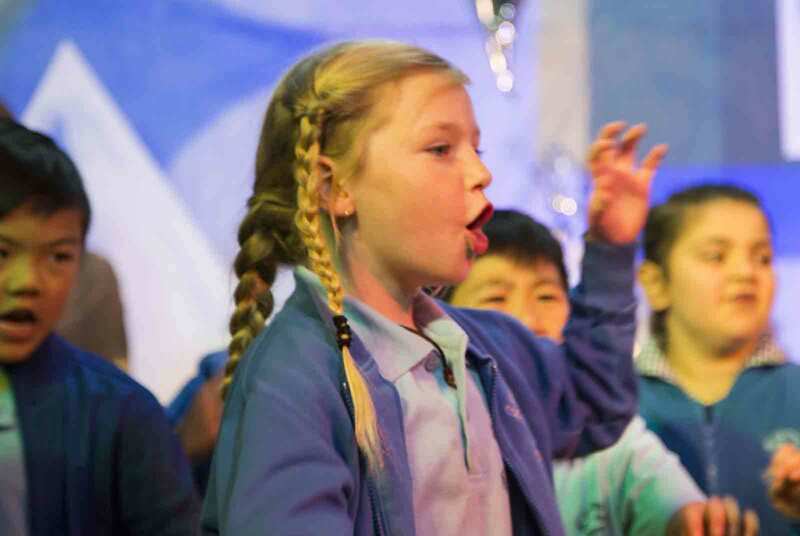 The cast have extensive experience in conducting story telling & drama workshops for all ages. They are passionate about furthering children’s creative expression. Do not hesitate to discuss with us any specific outcomes that you wish to achieve from your excursion to the Oz Funland.